Cooper was an owner surrender at the local animal shelter. I suspect he was too much dog for them. He is colored like a German Shepherd but is the shape of an Akita and is closer to an Akita in size. He is very smart and also very independent. 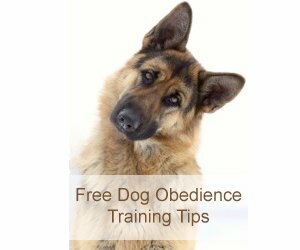 He knows all his commands but decides when and if he will obey. That said, he has never let me down when it was important. I am a woman living alone in a rural area in Appalachia. When strangers appear he has always been by my side and most obedient. A neighbor with an off sense of humor placed a life sized bear statue in a field. One day when we were out on a walk Cooper pulled the leash out of my hand and charged the bear statue. After about thirty seconds of circling it while barking he got the most sheepish look on his face. Cooper is also a lot more tolerant of other animals than many Akitas. He shares a very small house with two other dogs and a cat. Indeed, he can be delightful around puppies, I have never seen anything funnier than Cooper playing with a neighbors dachshund pup. He'd lay down on the ground so the pup could "fight" with him. I actually adopted a GSD/Akita at least that's what we where told she was. She is tan color and looks exactly like a GSD except she curls her tail like an akita but other than tail and color she looks German Sheperd. I was a little concerned about how aggressive she will get even though she's already 2 years old and seems to be very friendly and loves for us to be around her. Could you tell me or somebody that has this mixed breed advise me if this breed can get aggressive? Thank u will appreciate information.